When Earl took office, Democrats held majorities in both the Wisconsin state Senate and Assembly. He said some Democrats were uneasy about Jackson’s indexing proposal, but when Earl put it in the budget , it passed. "Keep in mind, when we are voting, who are we voting for?" Reynolds said shortly before the state Senate vote  to repeal indexing. "Are we voting for the special interests? Are we voting for our own special interests? Or are we voting for the interests of our constituents?" The state Assembly passed the repeal  about a week later, sending it to Doyle's desk with his re-election campaign just around the corner. A law born out of a bipartisan partnership would be repealed by one – the state’s top Democrat signed the Republican bill to repeal indexing without fanfare. "I don’t think we can get by with less," Doyle said in 2005 when he announced  his decision to sign the repeal. "I think the Legislature is now itself on the hot spot, and that’s probably where they deserve to be. If they want to have those projects, and if the result is that they have to increase the gas tax, then they’re going to have to do it in straightforward way and take that vote." 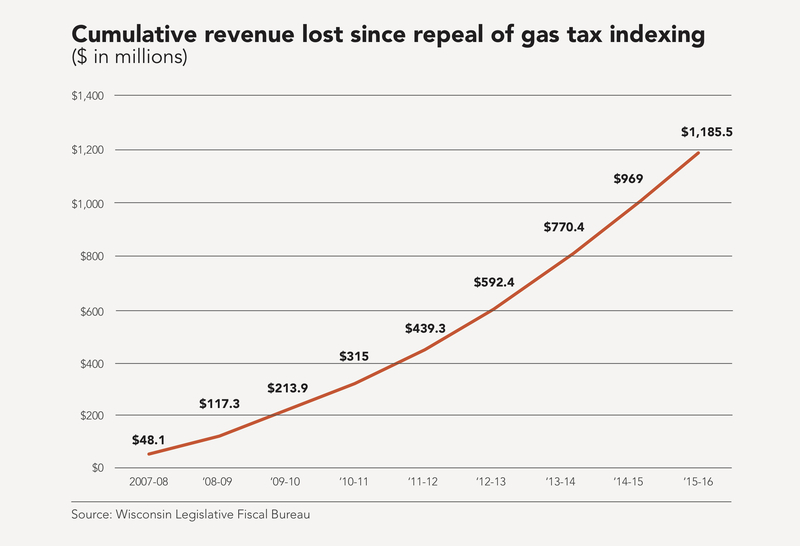 Three years later in 2008, with his re-election bid behind him and Democratic majorities in the Legislature, Doyle said it was time  for the state to bring back gas tax indexing. That never happened. Gard, who now lobbies for clients including  road builders, wishes the indexing vote had gone differently. Lowell Jackson, the Republican transportation secretary credited by former Democratic Gov. 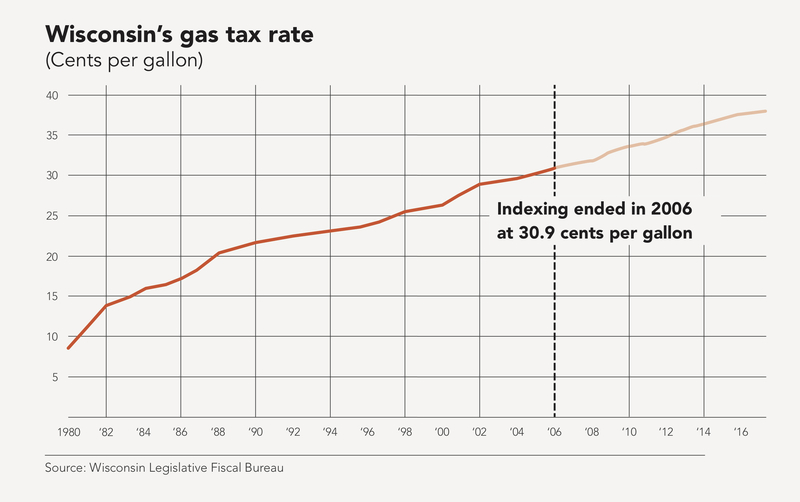 Tony Earl as the "founder" of Wisconsin’s gas tax indexing law, died in 2006 . This story is part of a WPR series  on transportation funding that explores how we got here and what happens next.